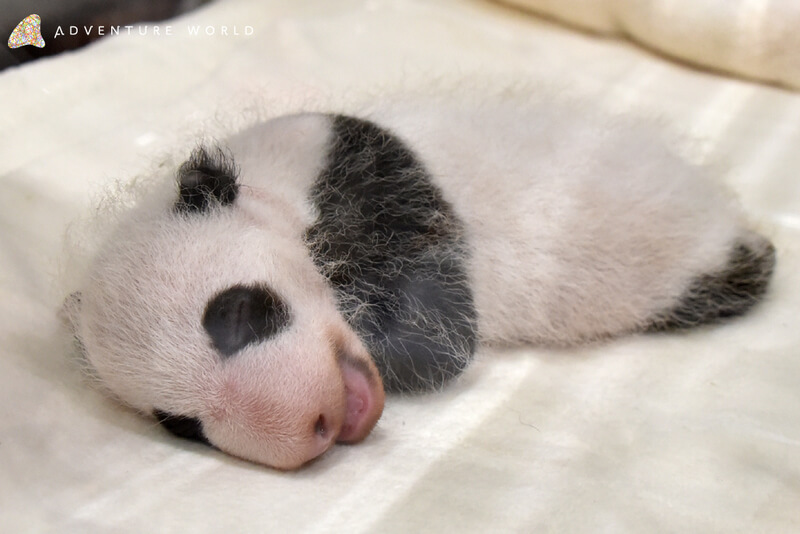 The giant panda cub born at Adventure World on August 14, 2018 has now turned 28 days old. She is the smallest panda cub to be born at the wildlife park. 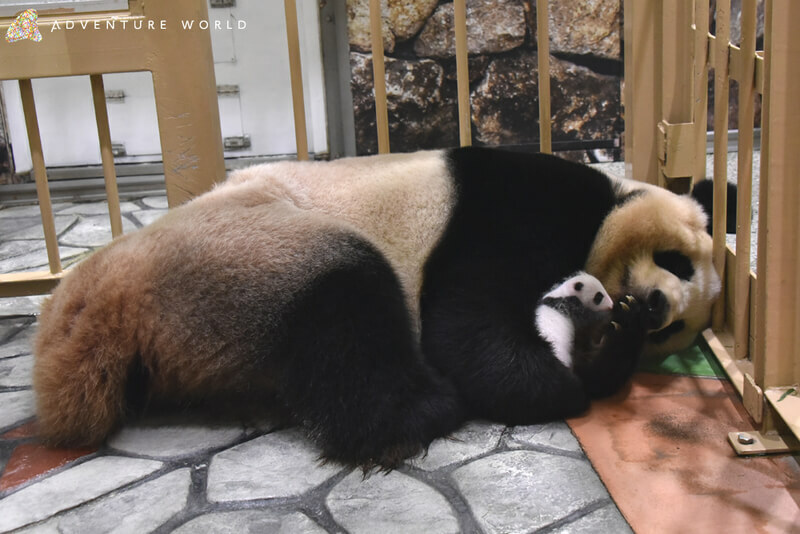 Staff are monitoring her and her mother Rauhin 24 hours a day. The cub cannot walk yet but she’s now able to crawl around in her incubator. The staff have noted they often see the mother is helping her baby to excrete and also lick her body clean while hugging her. Thanks to her mother’s love, the cub’s fur has turned a faint pink. She grows bigger and cuter by the day. Adventure World has announced that it will open the panda to the public and take applications for possible names on September 13. The website for name applications is available in English and Chinese so more people can submit their ideas. Will you be the one to name her? *Viewing times are subject to change depending on the baby’s growth. Viewings may also be changed or cancelled depending on her condition. *Names will be selected by Adventure World’s Baby Panda Christening Committee. *The chosen name will be announced at Adventure World and on the park’s official homepage. 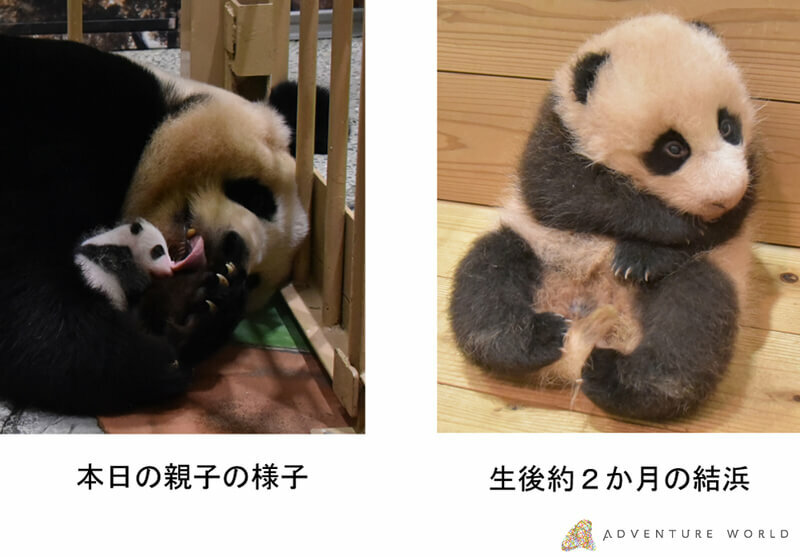 You can see the growth record, photos and video footage of the baby panda on the Giant Panda Family Site. Be sure to check it out below.